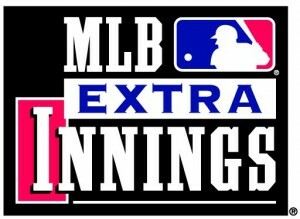 Beginning today, new and existing DIRECTV customers can get MLB EXTRA INNINGS at half-price! This is a great way for your bar or restaurants to draw patrons eager to watch their favorite baseball teams battle it out as the race to the playoffs heats up. You can show your customers can see up to 100 out-of-market games a week, including up to 80 in HD. Plus, bar/restaurant subscribers receive a free promotional kit to drive traffic as part of the DIRECTV MVP Marketing Program! The MLB EXTRA INNINGS Mid-Season Profit Calculator has been updated to include current mid-season pricing to help you see how to cash in on the most exciting part of the MLB baseball season. Right now, you get the most exciting half of the MLB season at half the price! and mid season pricing details, click here.